The diversity of car-hire has grown significantly over the years and unfortunately so have the rates. 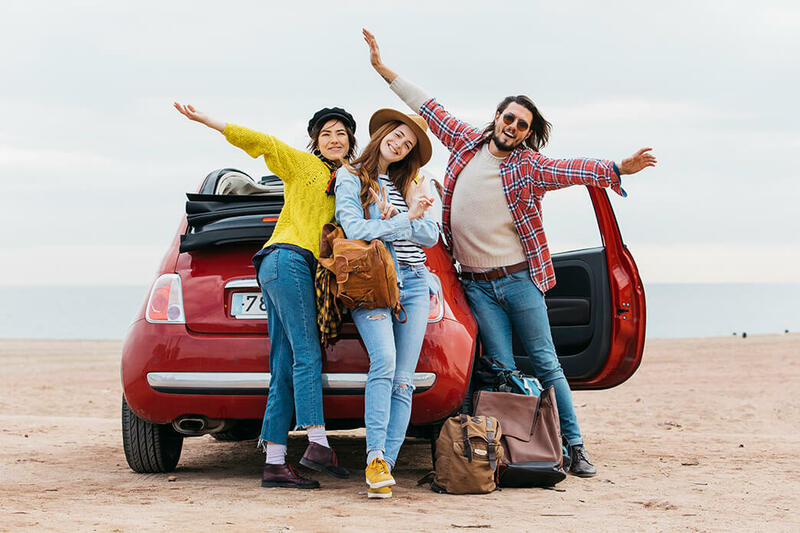 Whether it be for a wedding, high school reunions, road trips or first impressions the use of car-hire can be applied almost anytime and thanks to Codes.co.uk you can now book a car at incredible prices. Be sure to browse our extensive collection of car-hire voucher codes to save big on your next trip abroad or locally. Activate this offer to get up to 10% off selected bookings when you pay with Amereicn Express Cards at Hertz. Works sitewide. Get £150 off all booking over £2000 when you use this voucher code at INSPIRED LUXURY ESCAPES. Get 15% off selected booking when you use this deal at Goldcar. Get Up to 40% off Car Hire Bookings worldwide when you use this discount promo at Holiday Autos. Get 20% off Mallorca Car Hire with Online Bookings at AutoClick Rent A Car. Get 5% off car hire throughout Europe when you use this voucher at Enterprise Car Hire. Works sitewide. Get 11% off All Bookings when you use this discount code at Easirent. Get Car Rentals in Barcelona from 3.36€ /day when you use this voucher at Firefly Car Rental. Get Bolton to Feltham Car Hire From £34 Per Day at Dollar Rent a Car. Get your rental from £9 per day when you use this voucher at Thrifty. Get Up to 40% off Car Hire when you use this voucher at Argus Car Hire. Get Up to 40% off car hire in Bristol when you use this voucher at easyCar. Get Up to 14% off on London Car Hire When you use this voucher at affordable car hire. Get Up to 10% off any Drive NZ rental in New Zealand when you use this voucher at RentalCars.com. Works sitewide. Get 10% off all rent a car at Holiday Cars. Get Free Cancellation at Easyvan. Get Free advertising of your classic vehicle. No annual fee. No binding contracts. Get Car Rental in Rome from £4 when you use this voucher at EasyTerra. Get 5% off car rental only when you use this voucher code at EconomyBookings. Rent a Minibus when you use this voucher at Bookingabus.